Scott Hendricks Interview - Exec VP A&R Warner Bros. Legendary music producer Scott Hendricks is a force to reckon with in the country music industry. 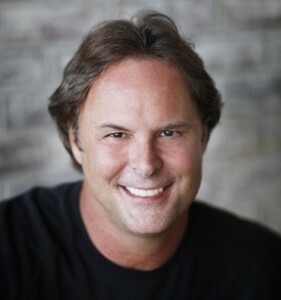 During his more than two decades on Nashville’s Music Row, the Oklahoma native has produced a staggering 94 Top 10 hits, 54 of which went to Number 1. Right now, he has three singles that he has produced in the Top 10. Hendricks has nurtured along 17 different artists to the Top 10, won six trophies from the Academy of Country Music (ACM), two from the Country Music Association (CMA) and an Emmy for his production of Hank Williams Jr.’s “Monday Night Football” theme. He has worked with Alan Jackson, Faith Hill, Trace Adkins, Blake Shelton and Brooks & Dunn to name a few. In 2007, Hendricks joined Warner Music Nashville as the head of its A&R department, coordinating the musical efforts of Blake Shelton, the JaneDear Girls, Hunter Hayes and Jana Kramer, among others. Hendricks’ producing efforts have been instrumental in Blake Shelton’s ascent from mid-level act to bonafide star, producing 11 #1 hit singles, two platinum and two gold albums along the way. Just last November, he was honored as the producer of the CMA Album Of The Year for Shelton’s Based on A True Story. Now Executive Vice President of A&R at Warner Music Nashville, Hendricks was once a guitar player with a University Degree in architectural acoustics from Oklahoma State University. After graduation, he came to Nashville to begin working at a company that designed and implemented studios, but his ultimate goal was to make records. He started hanging out after his day job with a successful engineer who was also an OSU alum and became the studio gofer. This was before there were 2nd or assistant engineers. He simply helped the first engineer out anyway he could. Hendricks engineered countless records until 1984, when he started working with one of his best friends, a songwriter named Tim DuBois who later became a top Nashville exec. They started recording demos for the group Restless Heart and got them a record deal. Hendricks talked about building his resume as a producer, his fish-out-of-water job as a label head, and what he looks for in new talent. BC: Did you have any aspirations of producing? 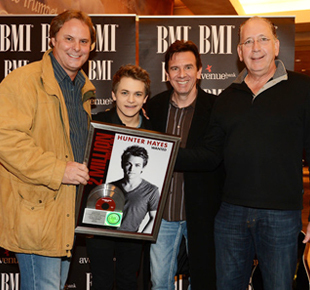 Pictured (l-r): Scott Hendricks with hit artist Hunter Hayes, producer Dann Huff, and John Esposito (President & CEO, Warner Music Nashville). Hendricks: I am the poster child for the statement that “ignorance is bliss.” My only goal at that time was to make records. I wasn’t even sure what that meant. I just wanted to be involved in making music. I had decided in college that I wanted to be on the other side of the glass instead of on the stage. I started mixing sounds for this band because the guitar player was so much better than I was. That kind of got me into the engineering part of it. When Tim and I started working with Restless Heart, we recorded what we liked without worrying if it was within the boundaries of acceptance in country music. We didn’t actually think it would work because we thought everyone would be scared of it. Lo and behold, they liked it. Once you have a record that hits as a producer, you are from now on a producer. There’s no school to go to. There’s no certificate. ..nothing. It’s just experience. It was one step at a time. The first act I produced was Restless Heart. When people heard Restless Heart, I started getting calls to produce and engineer other records. The second act I produced was a contemporary Christian artist, Wayne Watson. We had a number one contemporary Christian song called “Giants in the Land.” By this time, Tim DuBois was opening a new label in Nashville called Arista Nashville. Tim called and asked me to produce his first signed artist, which was Alan Jackson. A year or so later, I brought him Ronnie Dunn of Brooks and Dunn. He put Ronnie with Kix Brooks and I started co-producing Brooks and Dunn as well as others on Arista such as Steve Wariner and Lee Roy Parnell and others. Warner Brothers called me and asked me to produce this new artist by the name of Faith Hill. Atlantic asked me to produce John Michael Montgomery. BC: You have had such a long list of hits. What’s one of the stories behind the song? Hendricks: When we recorded with Alan Jackson, we had an approved list of 14 songs to record. We recorded the basic tracks for those songs in two long days. On the second day, we actually finished song #14 at a quarter ’til 9:00 p.m. The session was supposed to end at 9:00, so we had 15 minutes and no songs to record. There was a song that was not approved on our cut list that both Alan and I really liked. We said let’s cut it. Why not! The next day Tim DuBois, who was running the label and my dear friend, called me up first thing in the morning and asked how the sessions went, “What’s the hit?” he asked. I said the sessions went great and in my opinion the hit is “Here in the Real World.” He said, “Are you kidding me? That wasn’t on our cut list.’ I said settle down, Tim. You asked me what the hit was. This is the song I think is our biggest hit. He said not only is that not a hit; it’s not going to make the record. Since this was the first artist on a brand new label, Tim allowed everybody at the label to hear the entire record – all 15 songs. Everybody at the label came back to him and said they loved that “Here in the Real World.” He still wasn’t a fan of it. We actually went with a different song for the first single, but for the second single, Tim decided to go with “Here In the Real World.” It taught me a great lesson about how to be a great leader. Despite his own personal feelings, he allowed it to happen, and it went on to break Alan Jackson wide open. I think that’s a sign of a great leader, and I’ve tried to emulate that many times over the years. I’ve since been in that same position Tim was in many times when I wasn’t a fan of something, but others were, and I allowed them to be heard. Pictured (l-r): Trace Adkins, Blake Shelton and Scott Hendricks holding their ACM awards. BC: In 1995, you became President of Capitol Records, where you signed and produced acts like Trace Adkins. What is it like transitioning from a producer/engineer background to head of a label? Hendricks: I felt like a fish out of water to put it mildly. The studio environment is a very harmonious environment. Most of the time, it’s creative and typically a warm atmosphere. When you’re the new president of a record label, there are all kinds of dysfunction going on around you. There was staff worried about keeping their jobs, artist’s managers and attorneys worried about their clients record deal status, publishers worried about the status of their songs on the roster and on and on and on. It is truly a completely, totally different job than making music in the studio! The stress was new and intense. My task from my bosses was to sign hit acts and develop artists, and I did that. I loved creating the music part of it. This new role change also dictated a new time management dilemma for me. I engineered every record I produced before 1995, but dealing with both my responsibilities of running a label and producing, I relinquished most of the engineering due to time constraints. Nowadays, I still engineer a fair amount of each record I produce, but typically leave the tracking and mixing engineering to others. Clearly the hardest part for me in running a label was dealing with the issues outside of the music that were new to me. What I lacked and longed for was a partner to handle the non-music side of running the label. I can’t tell you how grateful I am these days with that partner here at Warner Music. Warner Music Nashville President & CEO, John Esposito is just that and more. On top of being the most incredible leader and motivator I’ve ever met, he’s also the biggest music fan I’ve ever met. We are having a lot of success and fun building this label. We make a great team together. BC: What are the projects you’re working on right now? Hendricks: I’m finishing a project that I can’t wait for the world to hear. We signed a duo named Dan + Shay that has the fastest rising single from a new artist that we’ve had since I’ve been here. “19 You +Me” is a rocket ship that’s moving extremely fast up the charts for a brand new act. These two guys are off the chart talented. I’ve just finished working on another new artist by the name of Michael Ray who is more of a country rocker. I’m anxious for the world to hear both of these new projects. In addition to these new acts, I’m working on another single on Jana Kramer. I also co-produced a song in the Top 5 right now by an new artist named Frankie Ballard called “Helluva Life” and the other single I have on the charts is Blake Shelton’s “Doin’ What She Likes.” I start working on Blake’s new album here in a few weeks. I’m busy! Scott Hendricks with Jana Kramer (Warner Bros. Records artist). BC: How would you describe what you’re like as a producer? Hendricks: Sometimes I know exactly what I want to do, and other times I wait to hear the musician’s interpretations. I learned a lesson a long time ago that the role of the producer isn’t necessarily to tell everybody how to interpret their specific parts, but instead to listen to their interpretations first. I hire musicians who are literally the very best in the world at what they do. They are incredibly talented, and my level of respect for them is immense. I may have a preconceived notion of something I want to hear, but I tend to hear what they come up with before I even open my mouth. They sometimes come up with an idea that’s far fresher than what I had in mind! It’s a collaborative effort if you have the right musicians on the session. To me, producing is similar to the process of creating a successful movie. It starts with a script. You can have the best actors, the best director, the best cinematographers, and the best locations in the world, but if the script is bad, chances are the movie will fail. Particularly in the genre of country, the song is the script. It has to be great and cause a reaction. It has to have a redeeming factor to it. It may be the lyrics of a song that emote strong feelings, or it might be the groove that simply makes you feel good or want to dance. I am essentially the director of the movie. I get to hire the musicians who are analogous to the actors. I hire the engineers who are the movie’s cinematographers. I pick the songs, which are the scripts. We go in and start with the basic foundations of a track. We typically record each song several times. Then, I will go home, and listen through every single take of every instrument—note by note—to figure which of the takes is the best. It’s a very painstaking process. I will go through and find what I think is the best of every musician. Finally, with the help of digital editing, I spend an excessive amount of time moving notes around to make the track “feel” as good as possible. BC: What do you look for in new talent? Hendricks: We get pitched thousands of artists, especially since we’ve had a lot of success at Warner Brothers. We are fortunate that everybody wants to be here. Our bar is set very high. Out of six years here, I’ve probably signed a handful of artists. That’s it. I have a job in which the words I have to use the most are “no” and “pass”! I hear good new artists every day. What we are looking for is artists to be not only better than good, but unique and fresh. Hunter Hayes is a great example. That was an easy signing decision for me. When I was at Capitol, I signed Keith Urban. That’s a ‘duh’. It would be hard not to see that level of talent! Dan + Shay—those guys are so talented it’s crazy. I have two jobs. One is making records and one is being the Executive Vice President of Warner Music Nashville, signing artists and overseeing the A&R department. We have several artists on our roster that I oversee but do not produce. BC: What are your thoughts about the current state of the music industry? Hendricks: I think country music is still strong. I could not be more proud to be in the country family. It seems to me that people tend to come and go more in other genres. We’ve had our ups and downs, but we are still the heartbeat of America. I think country is one of the last bastions where people actually go to Walmart and buy a CD. Country is still about the song more than it is about anything. All genres are experiencing decline in people buying records. People are streaming music more now. It’s a different business world for sure than it used to be. We’re now involved in merchandising and touring. We’re involved in the fan club. We’re involved in a lot of things that we, historically, used to not be involved in, but we have to be in order to make this work. But, I can tell you that developing and breaking new artists is no less exciting right now than when Restless Heart broke in 1984. BC: How do you go about looking for songs, songwriters and publishers? Hendricks: That’s a huge part of what we do. Some artists like Dan + Shay write all of their own songs. Hunter Hayes writes all of his own songs. Most of the rest of them write some of their own songs but not all of them. Our biggest artist, Blake Shelton, writes very few of his and relies on the professional songwriting community to write them. It’s a hard world out there now for songwriters because there are more artists than before who write their own material. Songwriters who don’t co-write with these artists have fewer artists vying for their songs. We get pitched thousands of songs. There’s a filtering system called the publisher that is absolutely necessary. At Warner Brothers we do not accept unsolicited material. The definition of unsolicited material is songs submitted by songwriters without a reputable and known publishing company. We know who the legit publishers are. 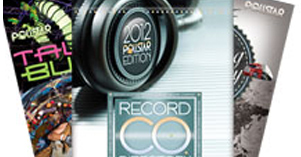 If you’re a songwriter that is worthy, you will get a publishing deal. Publishers then pitch us the songs they feel will fit our artists. Songs have to go through that filter to reach us.